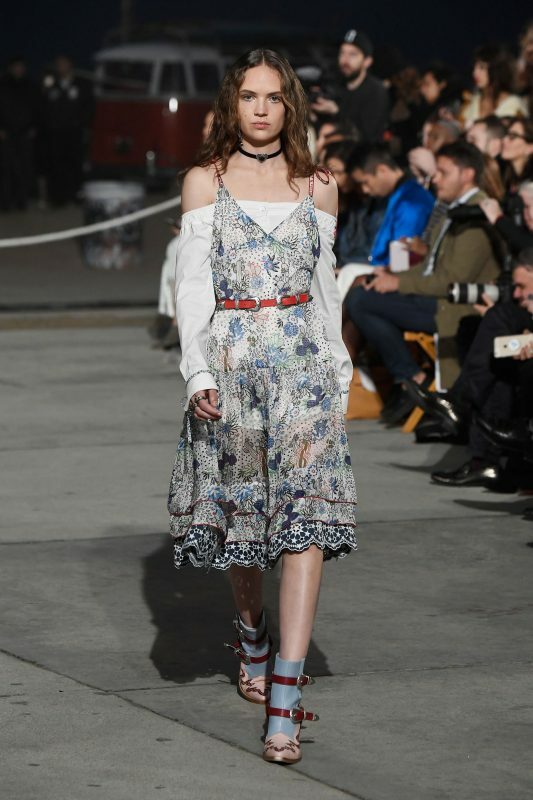 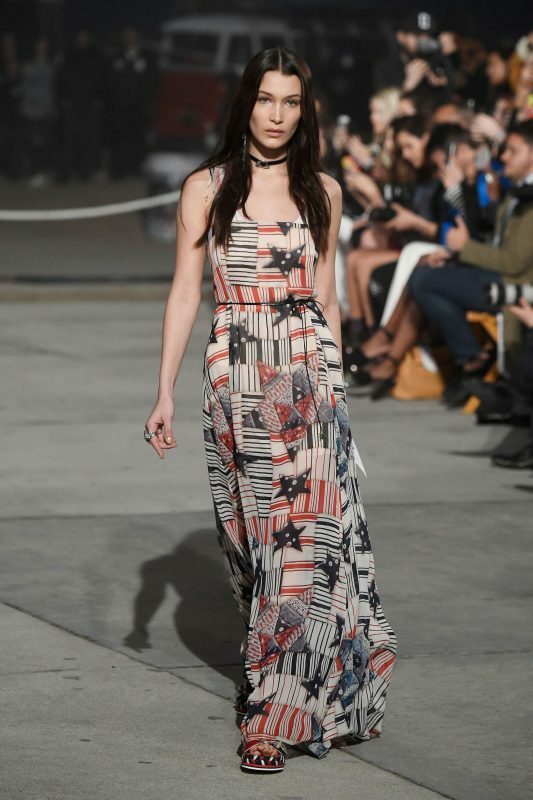 Tommy Hilfiger and Gigi Hadid took Los Angeles by storm yesterday, transporting guests to Spring 2017’s version of TommyLand in Venice Beach. 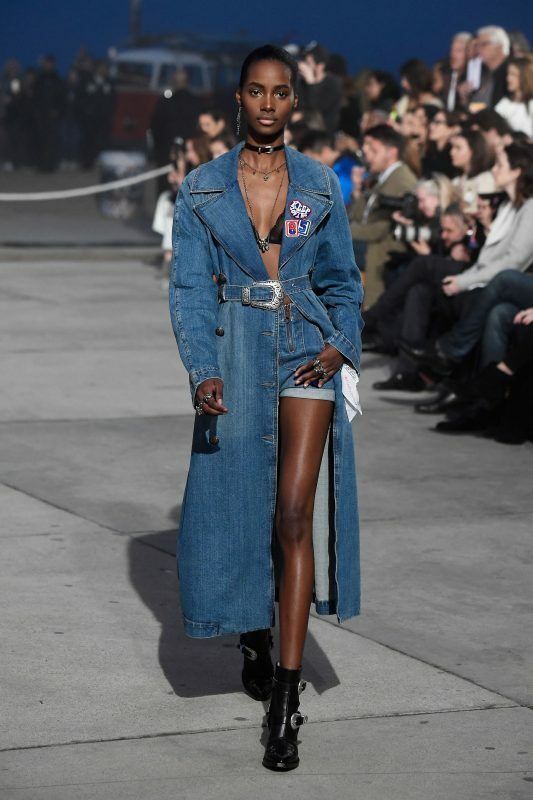 The size and star power of Tommy x Gigi runways shows is reaching legendary status just two seasons into the collaborations. 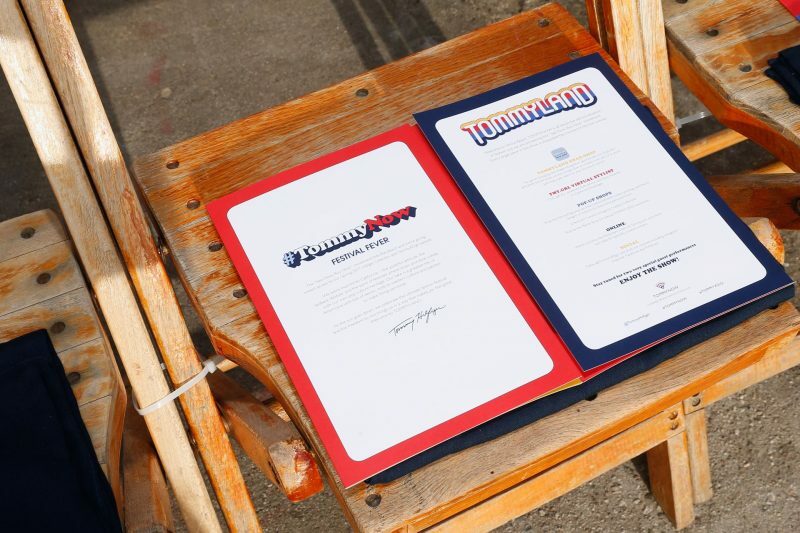 The two icons have joined forces to tap into millennial engagement, brand experience, and hype in a way that some designers are still dreaming about. 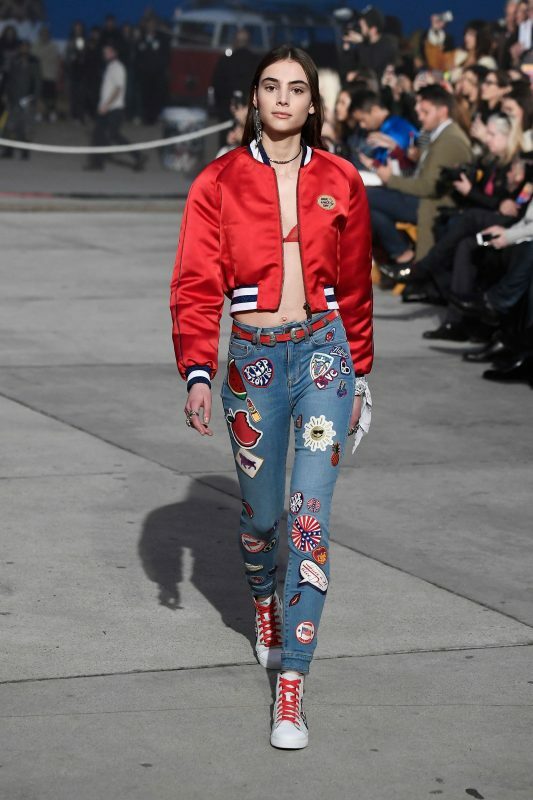 It helps to have funds the size of Tommy’s, but the ’90s resurgence combined with both Hilfiger and Hadid’s personal brands really blows it out of the water. 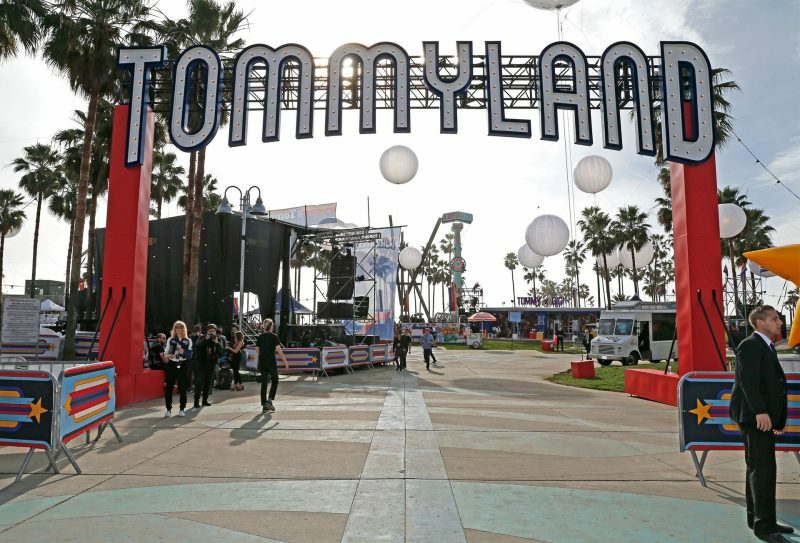 Like his New York spectacle last year, TommyLand in La La Land included see-now, buy-now merch, food stands, and rides. 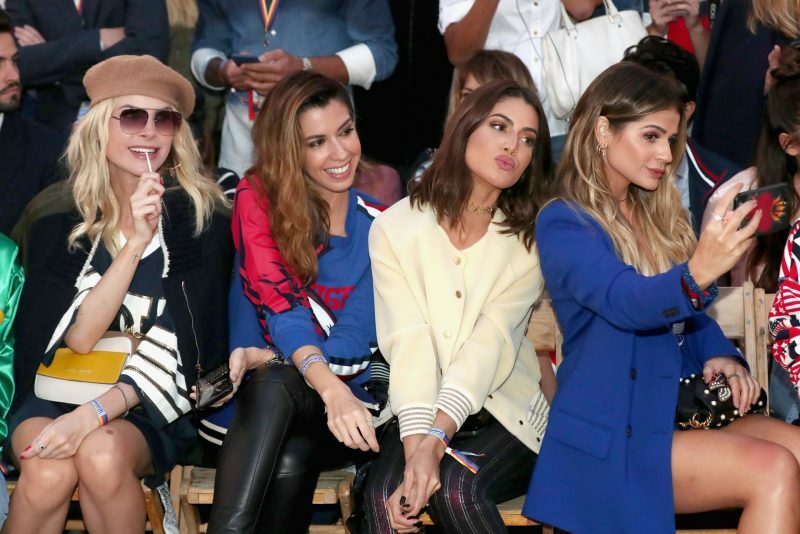 This time around Hilfiger enlisted Fergie to perform in a pair of hot pants before a crowd of over 3,000 guests, and thanks to this year’s show location, a hint of weed reportedly wafted through the air. 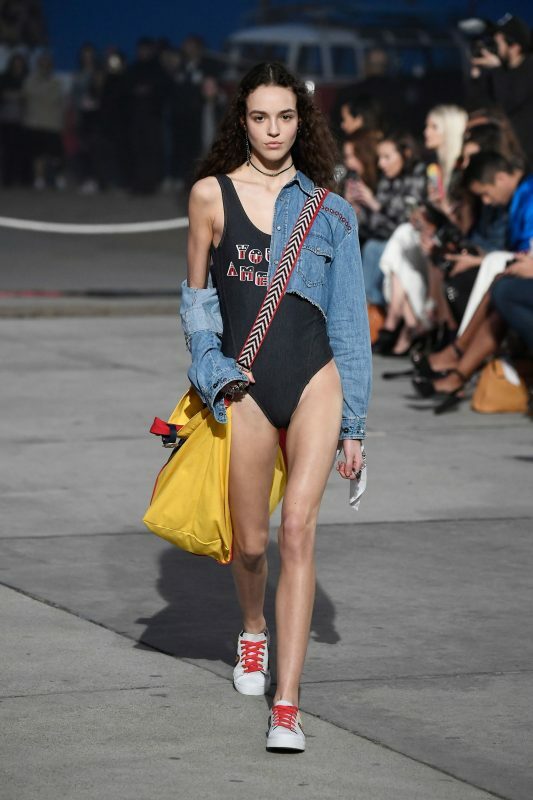 Of those guests, 2,000 were actual consumers. 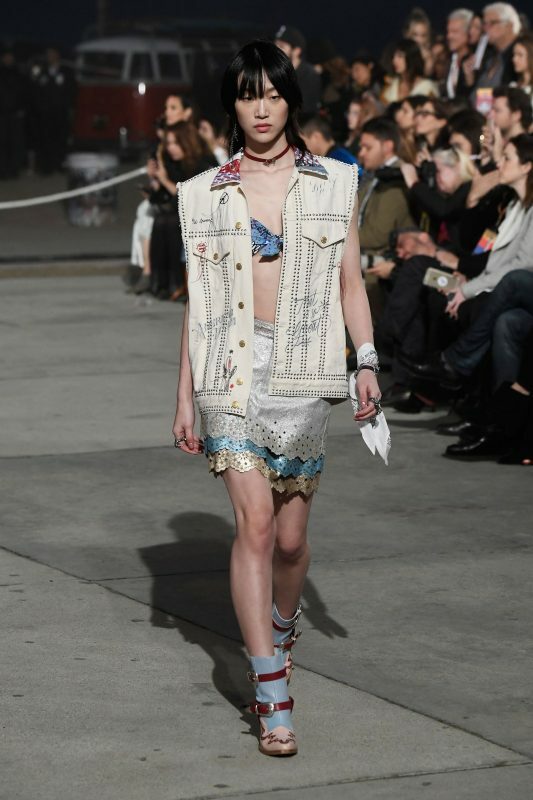 Lady Gaga turned up front row in a decorative pair of brows. 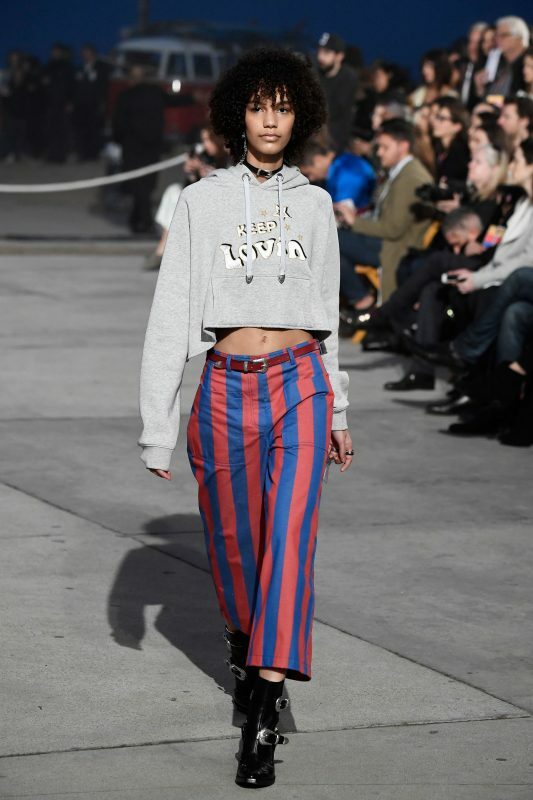 Meanwhile, LA royalty and fashion influencers like Kris Jenner, Yolanda Foster, Mohamed Hadid, Kaia and Presley Gerber, Sofia Richie, and Rachel Zoe were also in the crowd to name a few. 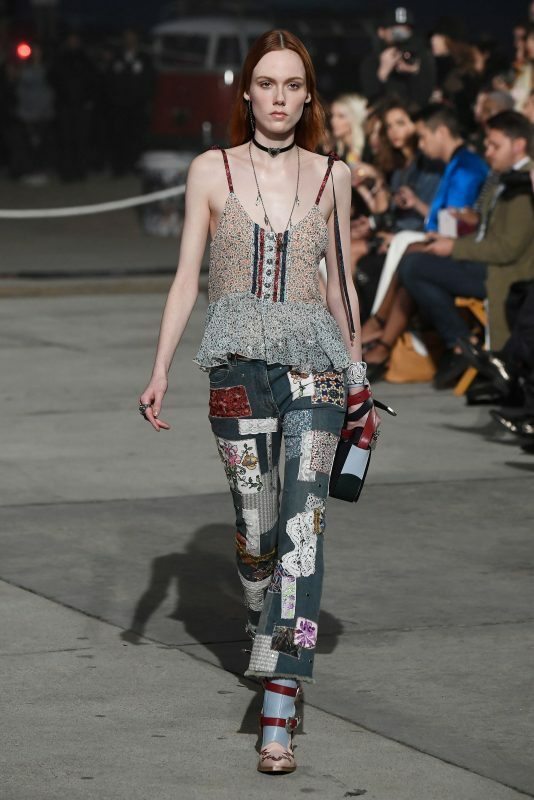 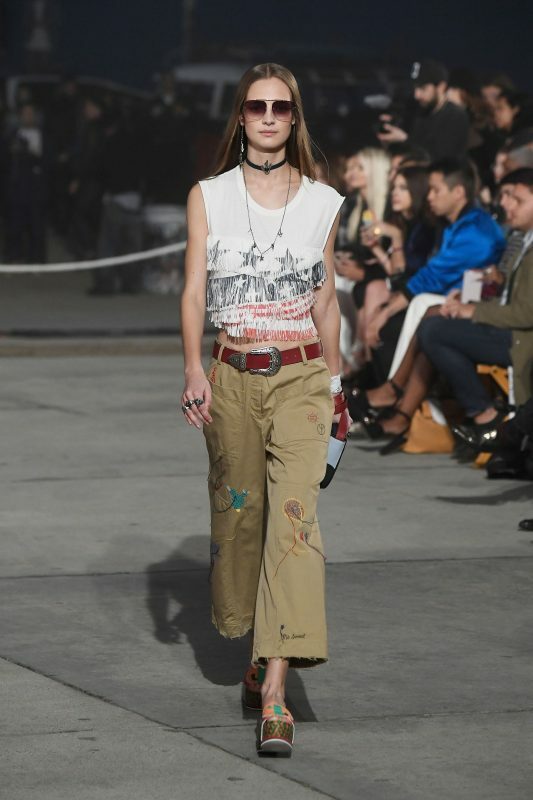 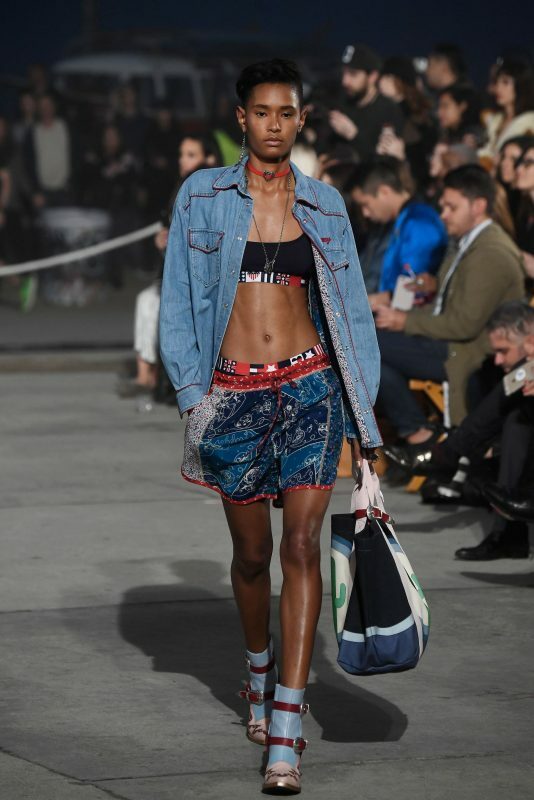 After the models trotted down the runway to the tune of Tupac’s “California Love,” the party moved to the TommyLand playground. 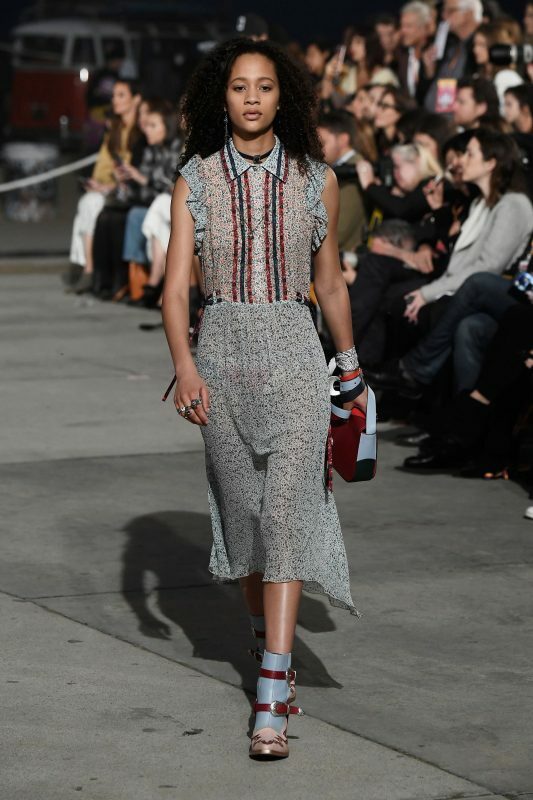 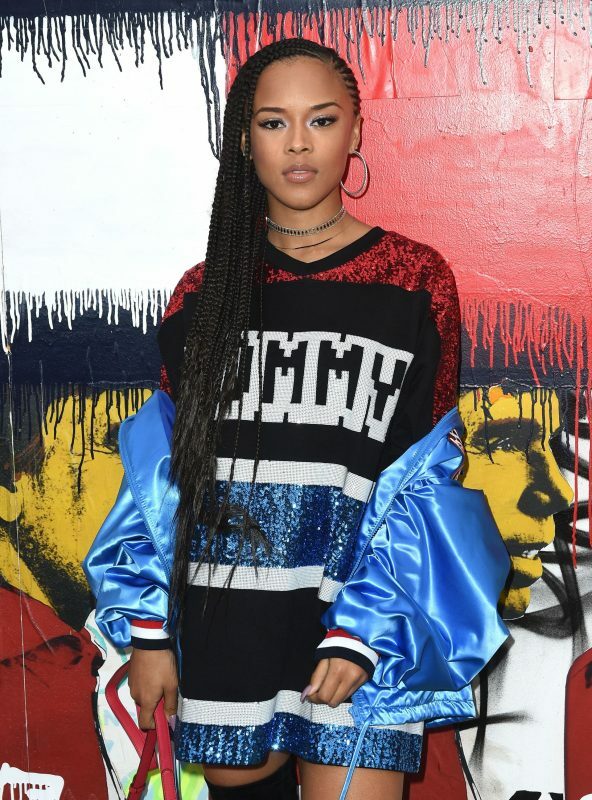 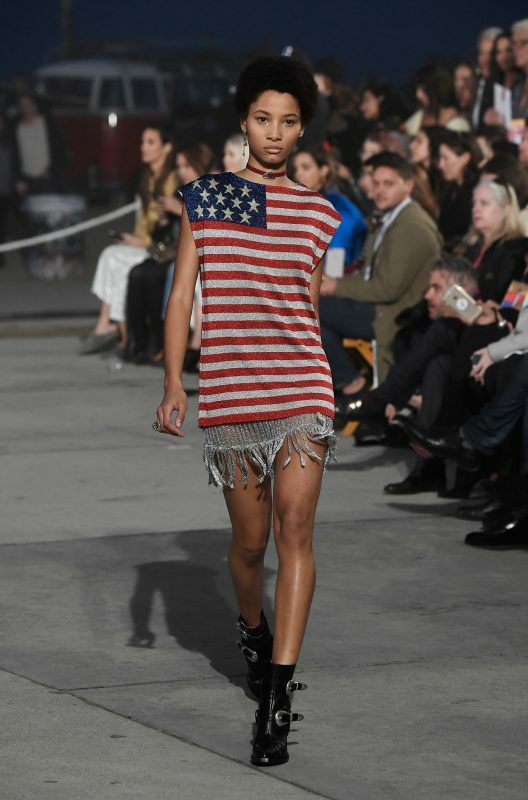 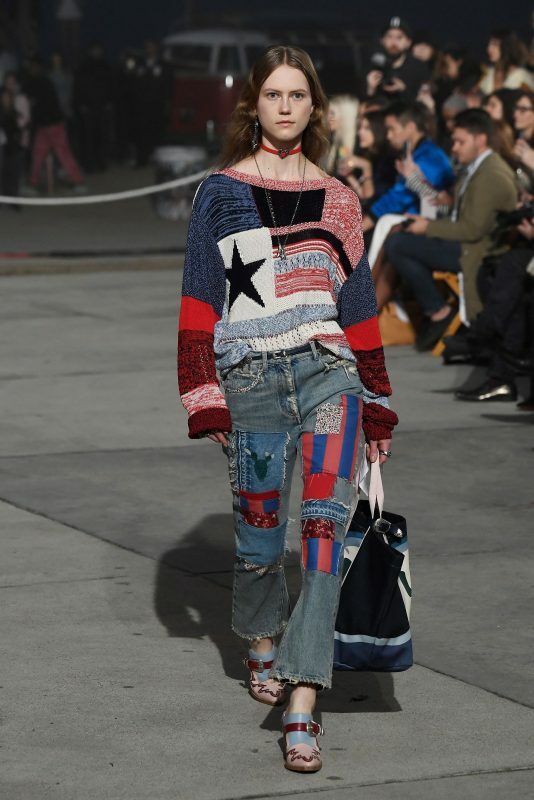 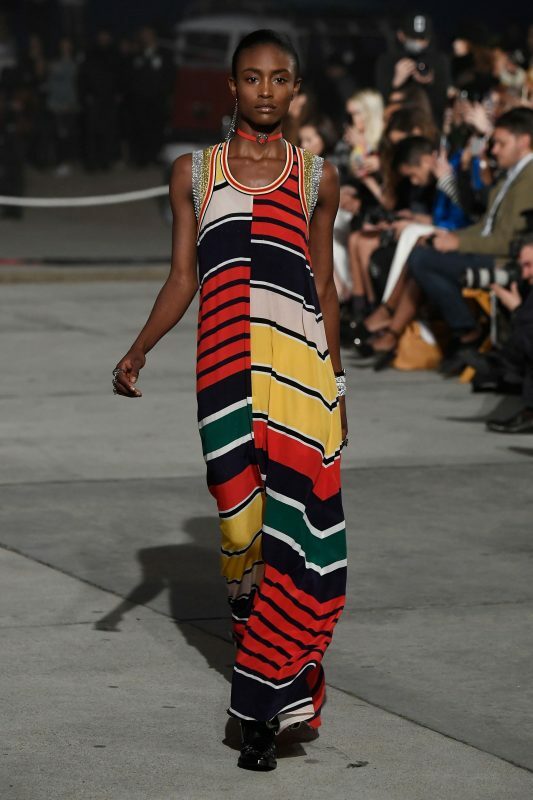 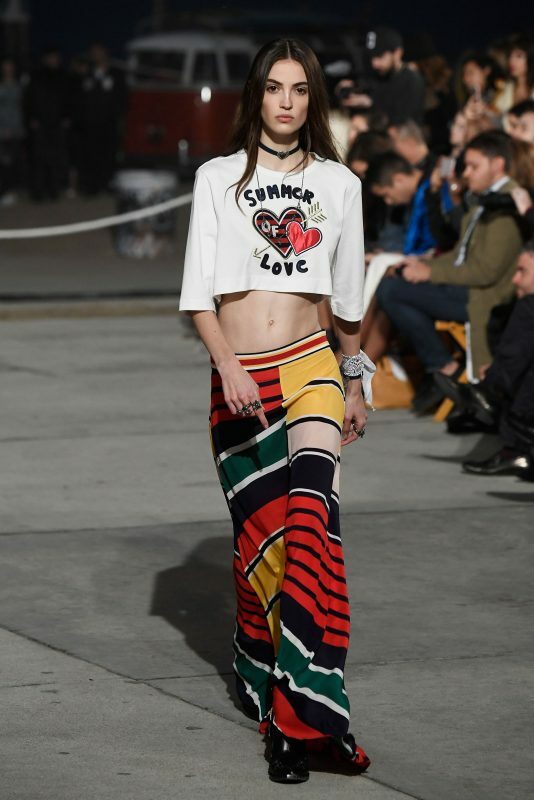 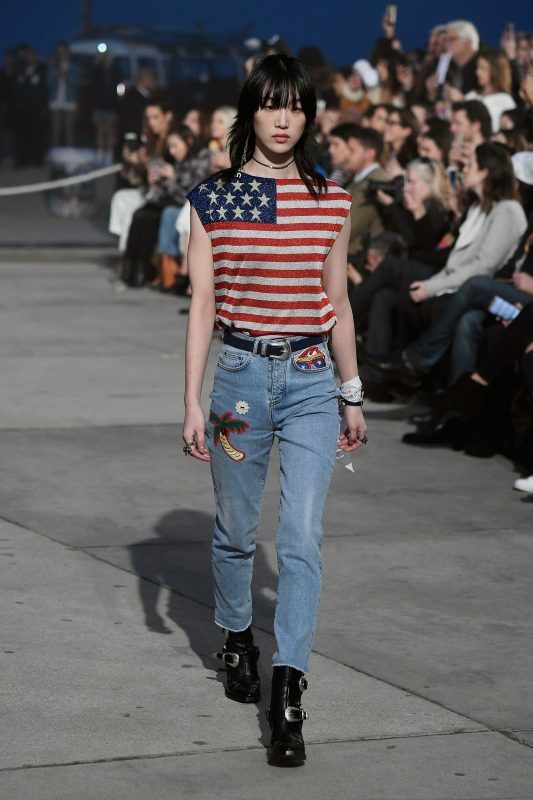 So, will the Tommy Hilfiger consumer show the love post-show? 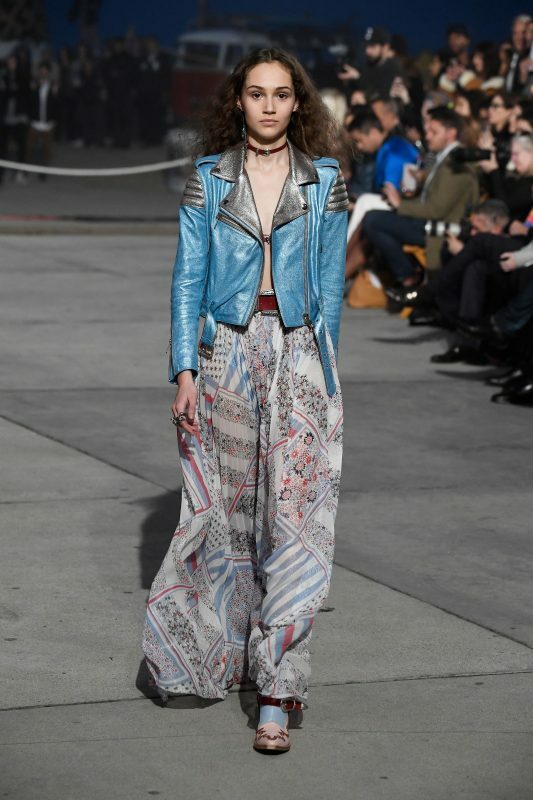 Gigi’s memorable leather biker pants and crop top are already on the verge of selling out. 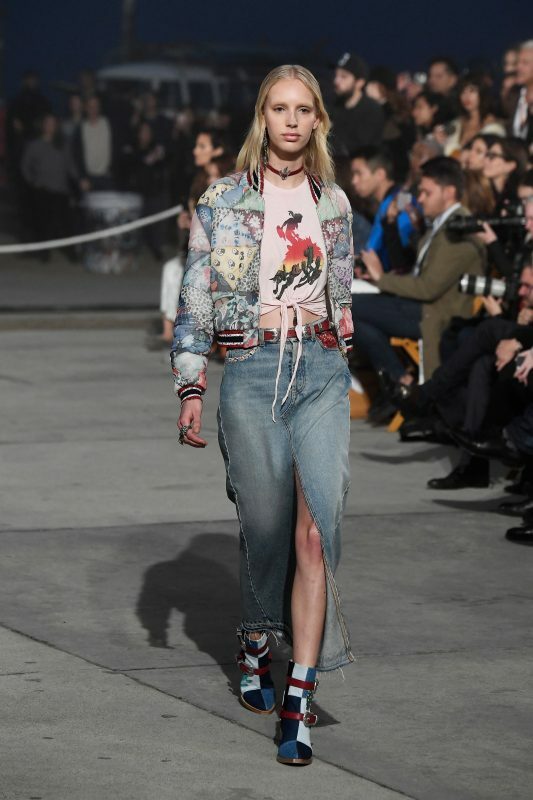 If there is one thing that is a certainty, whatever Gigi wears will sell, sell, sell.